Do you own a Mitsubishi truck but it is now beyond repair? Is your old, unused Mitsubishi truck taking away your valuable space in your garage or driveway? 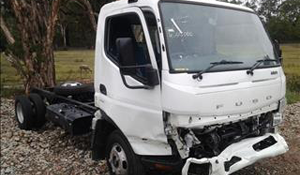 Getting rid of your truck is never a problem because at Mitsubishi Truck Wreckers Melbourne we provide you with the most convenient wrecking service, regardless of where you are in the Melbourne region. So there is no need for repair or for a certificate of roadworthiness before you can sell your truck. 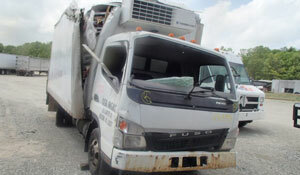 We will still pay top cash for your Mitsubishi truck whether it is damaged, old, unused, or rubbish. 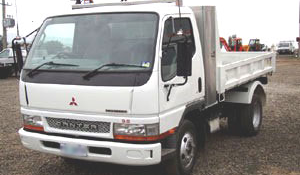 We are an authorized and licensed Mitsubishi truck wreckers servicing the area of Melbourne and its surrounding suburbs. We are in service for 8 years, Trucks wreckers Melbourne provides a better offer for your vehicle without any major paperwork. Now there’s one question that why to sell you Mitsubishi truck. Let’s face it, every truck has a life cycle and some owners will just give up on expensive maintenance and never ending repair without the guarantee of your vehicle to be roadworthy. Thus preventing air pollution and eliminating fog emission problems as minimizing road accidents. This will eventually lead to leaving your Mitsubishi truck rotting and rusting away in your own garage. However, this does not only apply to your damaged or scrap Mitsubishi truck, we also buy old Mitsubishi truck whether it is running and we can guarantee that we will pay you with a fair amount that your vehicle is valued for. We have been in the truck business for more than 10 years and we can pay cash for your old, unwanted damaged or scrap Mitsubishi truck. In fact, we have the highest appraisal for your damaged and unused Mitsubishi truck – we pay up to $12,999! So buying and paying for good and expensive truck never been a problem for us. Our team always sort it out best possible cash price for any truck in any condition. So, get cash for your Mitsubishi truck on same day after making an inquiry with us. Free Mitsubishi truck removal service include free pick up, removal, towing, documentation of Mitsubishi from your location to our collection center. Sell Mitsubishi truck with free removal. So why throw away precious space when you can actually sell your Mitsubishi truck no matter of its condition? You read it correctly; we pay cash for old Mitsubishi truck – any age, condition or mechanical issues that your Mitsubishi truck has. You can get rid of your vehicle at the comfort of your own home and get paid for it at the same time! Simply give us a call, send us an email or fill out our online form with the details of your Mitsubishi truck such as age, model and any issues and we will provide you with the final price. Sometimes physical inspection may be required in order to provide you with the most accurate quotation and price for your truck. All we need from you is a “yes” and we will give you the cash and pick up your Mitsubishi truck for free – anywhere in Melbourne. It is simple and easy – just like a walk in the park! While other truck wreckers offer conditional FREE truck removal and pick up service, you can be assured that here at Mitsubishi truck wreckers Melbourne. Truck wrecking services doesn’t just end with the wrecking process. 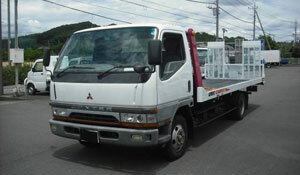 We dismantle Mitsubishi trucks for parts and scrap metal. Trucks have different parts which some people may find it hard to purchase from the manufacturer. Here at Mitsubishi Truck Dismantlers Melbourne, we also offer quality second-hand truck parts from engine, scrap parts and metals to wheels. We have a huge inventory and large selections of parts and highly sought after items such as starter motors, wheels and tyres. Every part of our wrecking process are inspected and conducted by professionals to ensure that the method complies with Australian standards. You don’t only give yourself a favour by getting rid of your unwanted Mitsubishi truck, but you are also caring for the environment! Here at Mitsubishi Truck Wreckers Melbourne, there are no parts left unused!